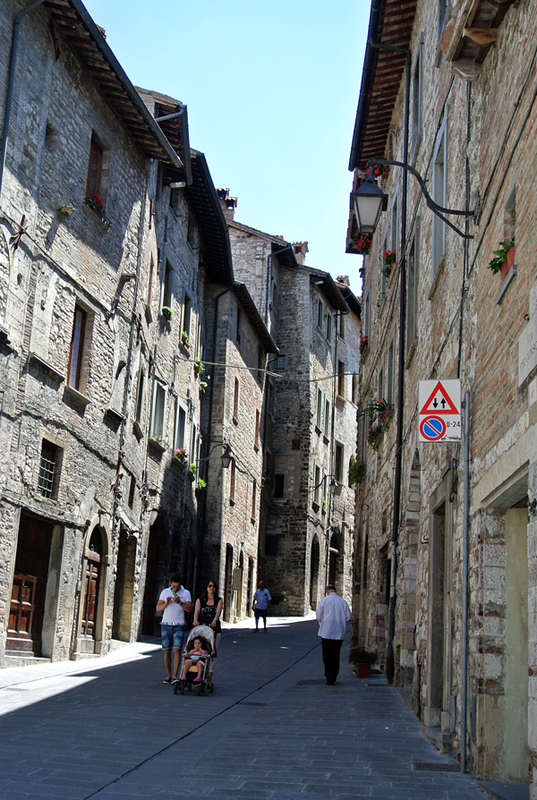 Every Sunday we take the day off of our regular chores and head out to explore Umbria. 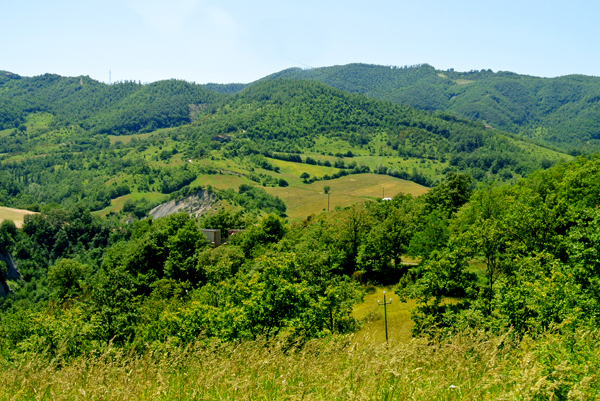 Since last Sunday was Father’s Day, my husband got his pick of destinations, and it wasn’t surprising where he chose as he has been craving a truffle meal at Trattoria Da Baffone since we arrived back in Umbria May 9th. 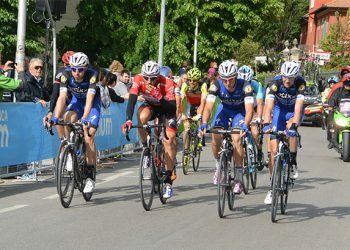 We were Gubbio bound! 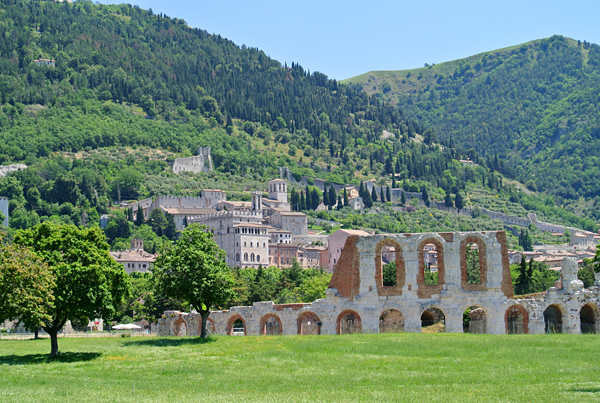 Gubbio is one of northern Umbria’s most stunning stone hill towns, and stands at the foot of Mount Ingino. 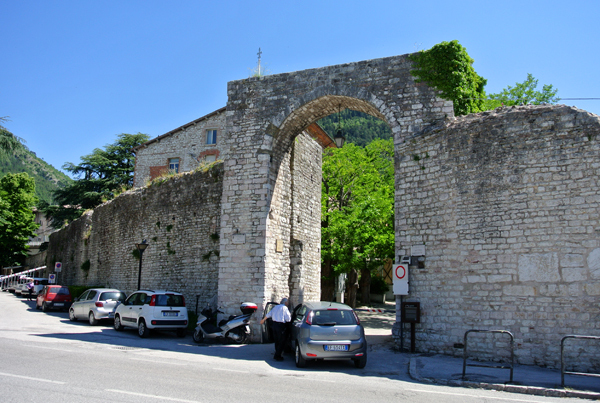 It is difficult not to be awed by the stark beauty of this medieval town as you approach by car and see it’s grey limestone buildings built along its steep streets that wind up the base of the mountain. 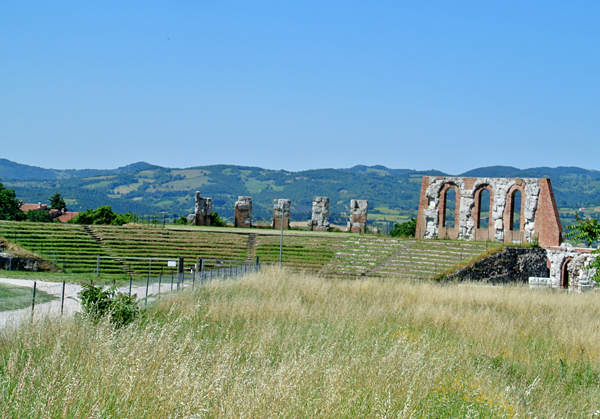 We almost bought a home in the hills outside of Gubbio many years ago, and it has always been a favorite place to visit since we first discovered it over twenty years ago. 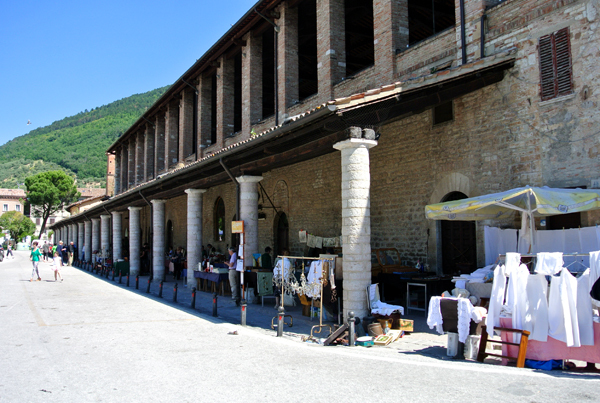 The third Sunday of every month is antique market day in Gubbio, so before we headed off for our amazing truffle lunch, we explored the town and the plentiful stalls selling their wares. 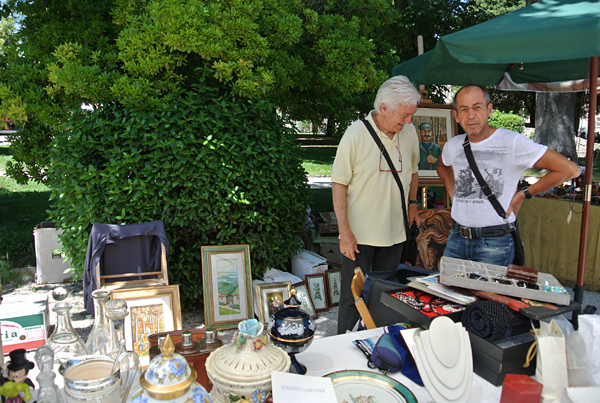 We try and visit an antique market a couple of times a month, and have made a pact that we will buy one item, no matter how small, at each market we visit. 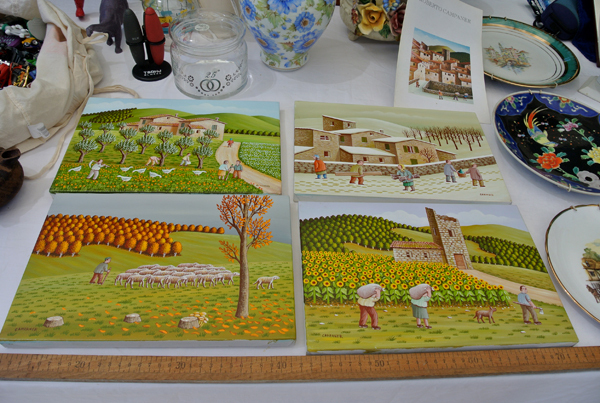 Luckily we came upon a stall selling oil paintings from one of my favorite Umbrian artists and we chose a group of four small oils depicting the seasons here in Umbria. The artist is Roberto Campaner who was born in Rome but now lives in Foligno. His paintings are somewhat whimsical, but all reflect the rustic daily life in Umbria. 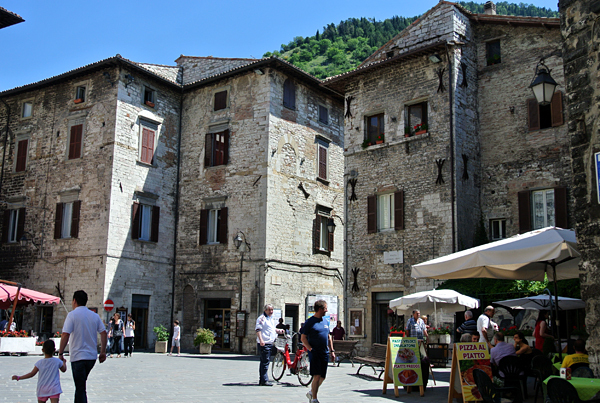 After enjoying a relaxing couple of hours exploring Gubbio, we headed up into the hills behind Gubbio to Trattoria Da Baffone for lunch. 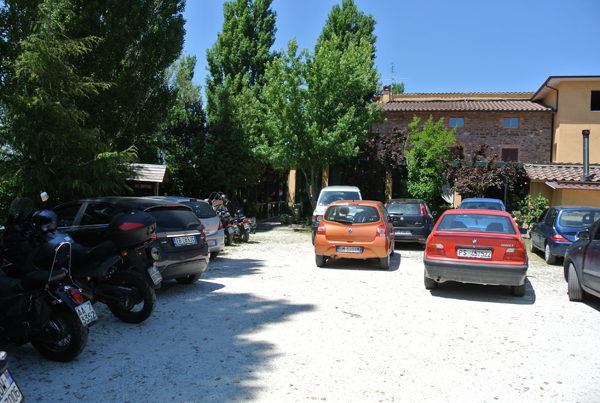 The trattoria was packed with a bus full of tourists, two baptism parties, and the usual abundance of typical Sunday diners, but the food was as amazing as we had remembered from our previous visit, and we enjoyed a wonderful truffle filled meal! 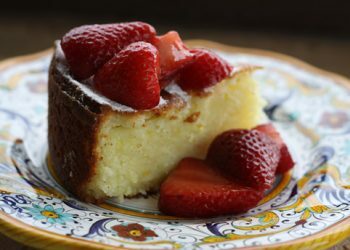 High up in the hills above Gubbio, one of Umbria’s most famous hill towns, you will find Trattoria Da Baffone, a family run restaurant that has been in business for over 40 years. Despite it’s out of the way location and unpretentious, rustic decor, this trattoria is famous for its truffle menu and folks will drive hours for the casual, home-style meals. 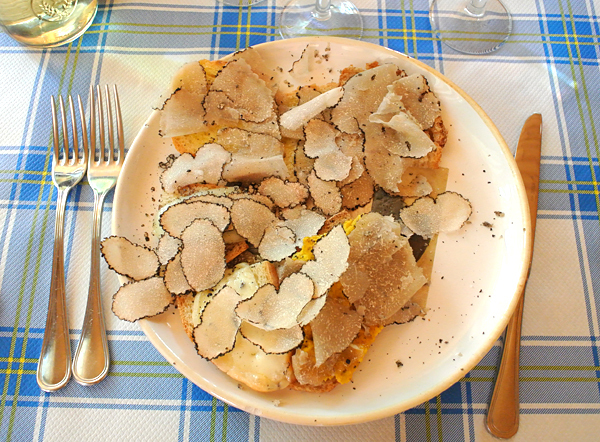 Da Baffone is known for rustic Umbrian cuisine at its finest, and you can get every course covered in a layer of shaved truffles if you desire. 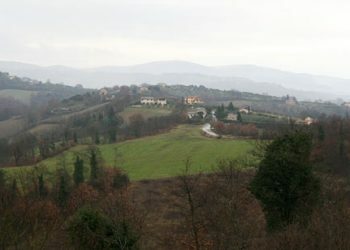 The drive to Da Baffone is not for the faint hearted as it involves navigating down very windy narrow roads for miles. Your first impression when you pull into the driveway may be surprise and you may just wonder if it is really possible that you are in the right place. 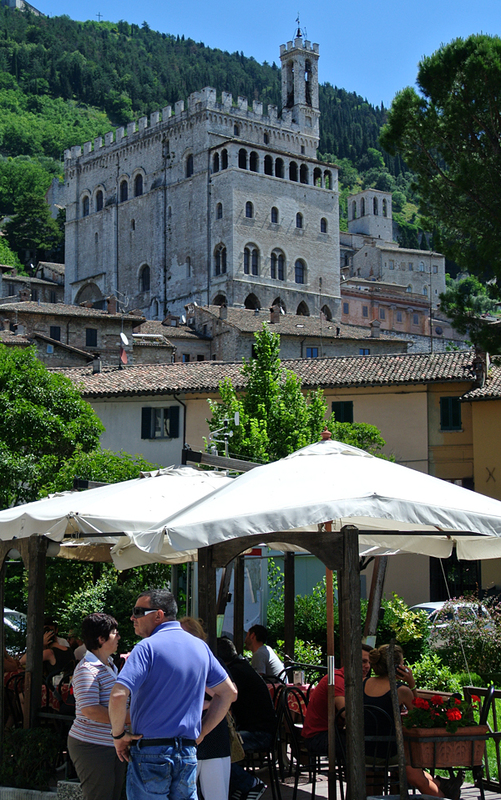 During the warmer months, diners are seated outdoors in a very casual setting under a canopy with the owner’s three large truffle dogs and many cats milling about. 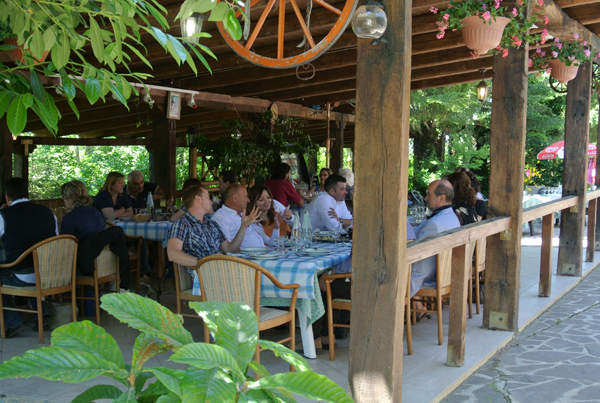 The atmosphere is very relaxing and peaceful, and the only sounds heard will be others diners enjoying their meal and birds chirping in the trees that surround the property. 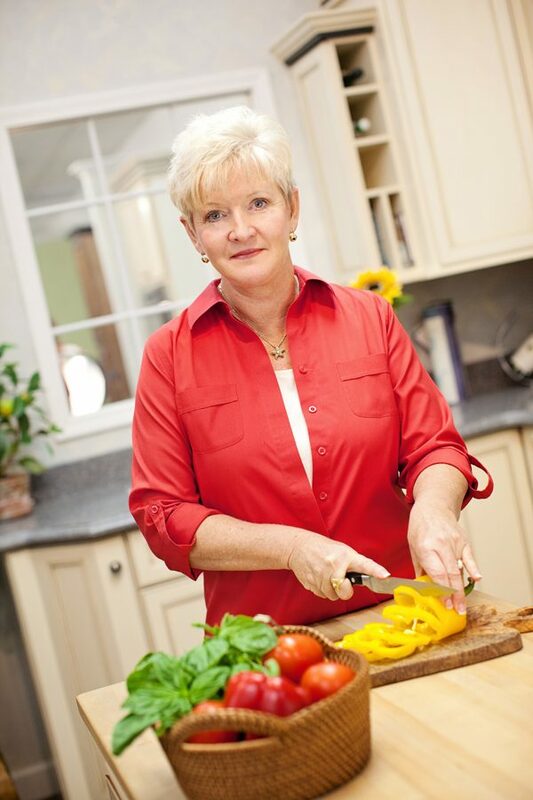 On a regular day, the owners and their family handle service, and it is obvious that this family is passionate about their food and enjoys taking care of people. 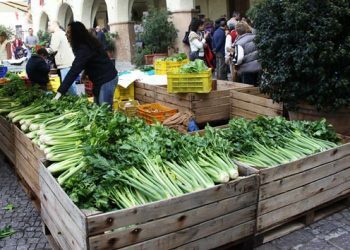 On weekends, when folks arrive in droves to this restaurant, local ladies are hired to take care of the hundreds of guests that flock to Da Baffone. 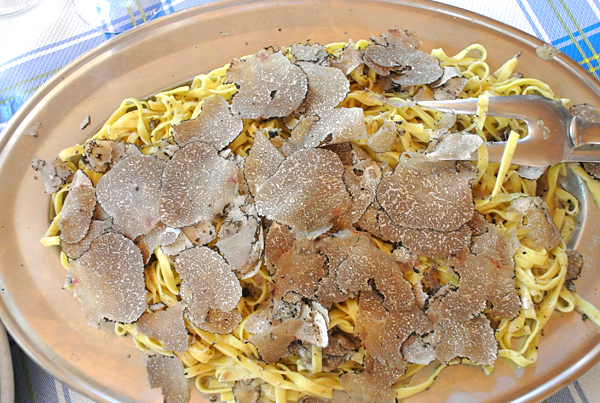 Since there are basically just two menus offered, one with truffles and one without, food does arrive fairly quickly no matter how busy the trattoria becomes, although you are never rushed through your meal. 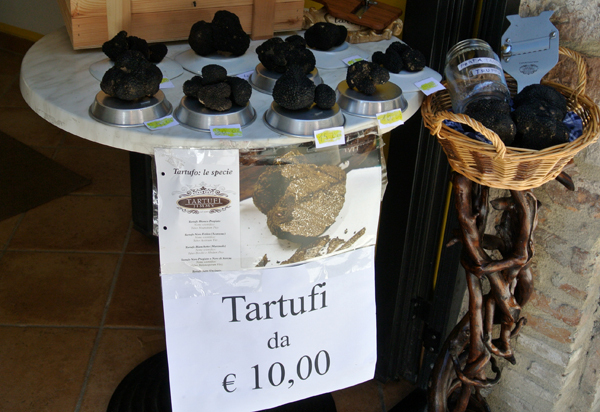 The owner tells us that he goes out truffle hunting in the hills around Gubbio every morning to ensure he always has a good supply of fresh truffles on hand. 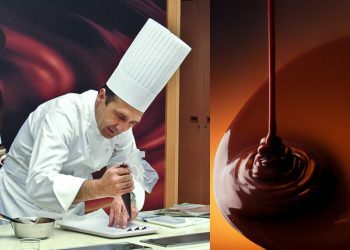 The truffle menu includes four courses along with two side dishes served with the meat dish, coffee, and wine. 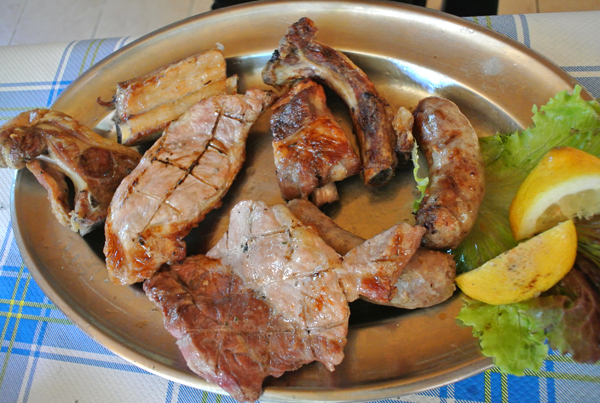 The meal begins with a bruschetta selection, followed next by an egg frittata, then a platter of fettuccine, and finally by a choice of mixed grilled meats or scaloppini. All four courses except the grilled meats are completely covered in a very generous helping of shaved black truffles, which is one of the reasons folks drive so far to dine here. 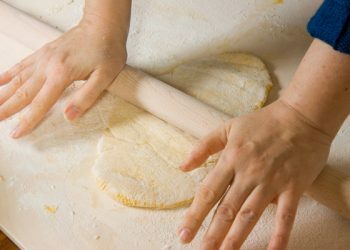 The menu without truffles contains three courses, served family style, and each of the platters epitomize what casual, home-style Italian cooking is all about. The meal begins with a mixed antipasti platter containing prosciutto and melon, various bruschetta, and local cheese and cured meats. 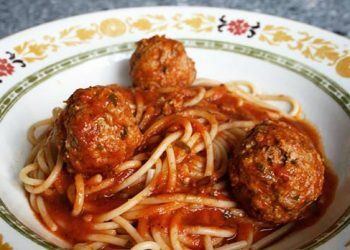 The second course is a platter of homemade fettuccine topped with a simple tomato sauce, which is followed by a good-sized platter of grilled meats, a plate of French fries, and a mixed salad. 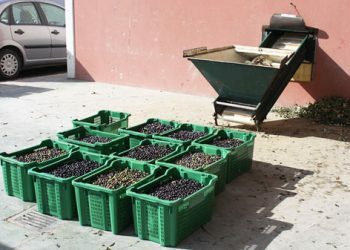 Both menus including coffee and wine costs just 30 euros per person, far less than most other restaurants that specialize in Umbrian cuisine that contain truffles. 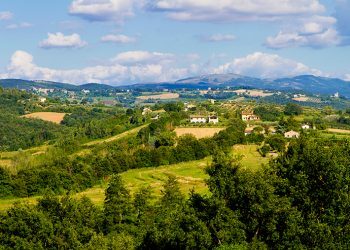 Despite the drive and casual ambience, this trattoria is well worth the effort for anyone visiting Umbria that enjoys black truffles and good, casual Italian cuisine. Reservations are requested and indeed are necessary on Sundays when the trattoria is full. Your website is absolutely beautiful…….I am transported vicariously because of the gorgeous photography! Do you and/or your husband take all these fabulous photos? 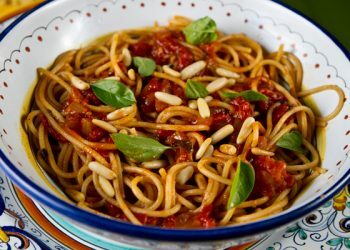 I have tried many of your wonderful recipes….my husband and I love your pasta a la norcina…….very rich but a much looked forward to “once in a while treat”. You’re living the dream!!!! Carole, thanks so much for the kind words. I am both cook and photographer. 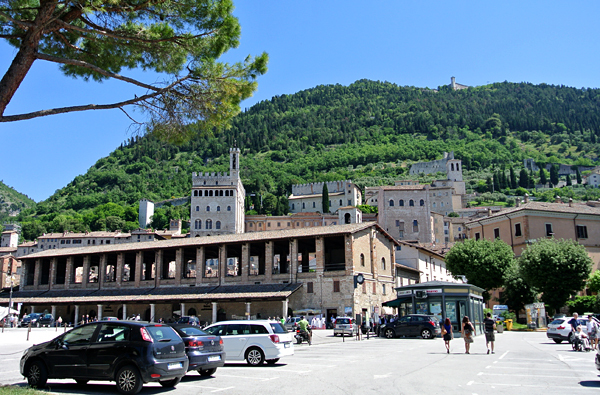 I have been in Gubbio for 3 days and remembered seeing your blog in June. Well I went to Da Baffone today and had a fantastic experience. 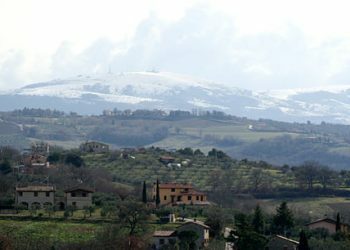 I was early so hiked up the hill behind the trattoria. I was wishing that the dogs came with me thinking that it would be exciting to find some truffles. I did find a lot of wild blackberries which were a great starter. Do you remember seeing the large hanging on the wall with the picture of the owner in a robe, looking like he was being knighted? Most of the words of course were not in my dictionary but the few that I got seemed to indicate some kind of joke, something about exorcism. I will have to get one of my Italian friends to translate. Came to Gubbio while visiting from Australia to enjoy a truffle meal from Da Baffone. Thank you for your inspiration. 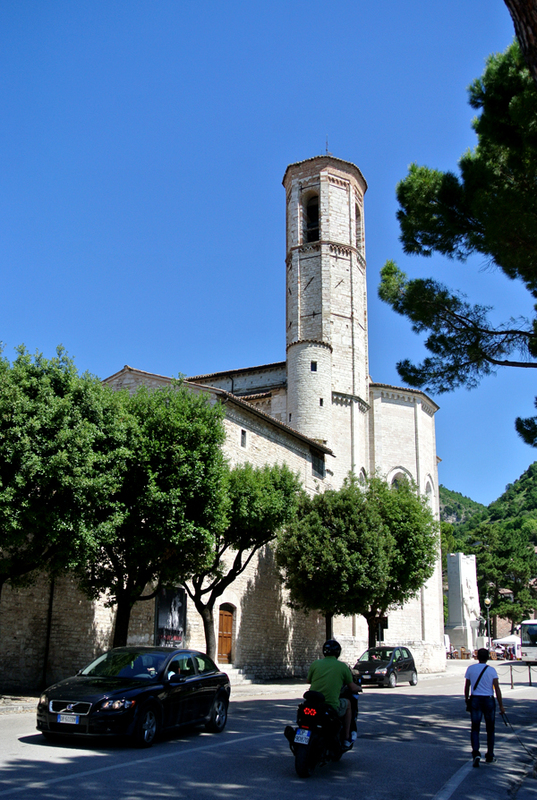 Both Gubbio and Da Baffone were a delight. Loved the truffles, the family and the ambience of all.